The core gameplay of Vermintide 2 is still the same. You and up to three friends team up to progress through a level, fight off hordes of foes (with the addition of the tougher Chaos forces this time around), and complete some objectives as you go. Successfully completing a level will get you a loot chest and some experience. As you level up, you'll eventually unlock "Talents" that will have an impact on the way you play your character. For instance, the Dwarf Ranger can choose a talent that increases attack speed or increases the amount he heals when using healing items. Depending on if you're playing as the team's "tank" or a damage dealer, you may choose one over the other. The other big improvement to the game is guaranteed loot for your chosen character, which is pretty apparent after clearing just one level, and definitely makes for a better experience overall. No longer do you get loot based on the roll of some random dice that could result in gear for a character you don't play. Instead, you open a chest that contains three items that can be used by the character you're using. The quality of the chest (and its loot) is based on a few different factors, including picking up the hidden Tomes and Grimoires scattered throughout each level, so there's still some grinding to be done to get good equipment. However, the randomness has been cut way down. What's more, that equipment now feeds into the other systems - the character "professions" and overall character progression - that allows each player to, eventually, make a "build" (e.g., stalwart tank vs melee DPS). We definitely were all impressed with what little we played and I think it's safe to say we'll be playing some more over the next few weeks. 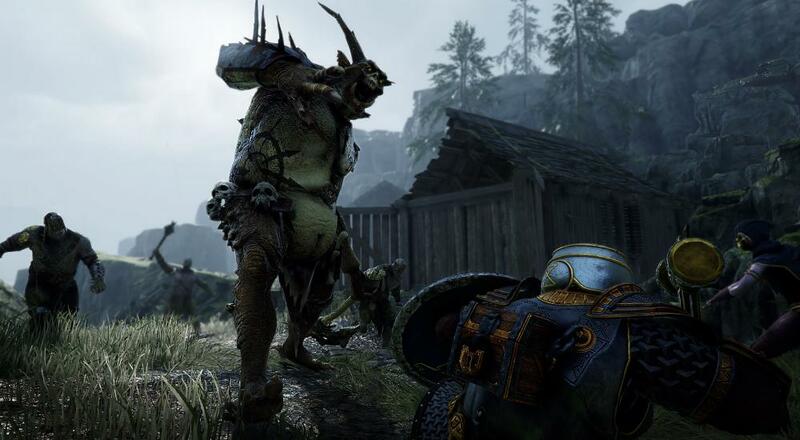 Warhammer: Vermintide 2 is available now on PC via Steam. It supports four player online co-op in all of the missions. PlayStation 4 and Xbox One versions of the game are slated for a release later this year.